by Garry F. Gordon MD, DO, MD (H), Lyn Hanshew, M.D, and Charles M. Scott, M.D. Glutathione (GSH) is one of the most critical molecules of the entire body. GSH plays an important role in antioxidant defense, nutrient metabolism and is key in a vast number of cellular processes including gene expression, DNA and protein synthesis, cell proliferation and apoptosis, signal transduction, cytokine production, immune response, and protein glutathionylation. GSH is ubiquitous in the regulation of pathways essential for whole body homeostasis. To date there are over 76,000 medical articles about the health benefits of Glutathione. As the most important intracellular antioxidant, GSH regulates all other antioxidants while preventing damage to important cellular components caused by reactive oxygen species, such as free radicals and peroxides. Metabolic imbalance, allergies, asthma, inflammation, immunodeficiency, and diseases such as cancer, cardiovascular disease, seizure, Alzheimer’s disease, Parkinson’s disease, sickle cell anemia, liver disease, cystic fibrosis, HIV, AIDS, infection, heart attack, stroke, and diabetes are associated with low GSH levels and high oxidative stress levels. Despite the overwhelming benefits, there has been only limited clinical use of glutathione in medicine because of its unstable nature. The cysteine moiety of the GSH tripeptide makes its use in clinical medicine difficult at best. Oral preparations of GSH have been found to be unpalatable due to the sulfur taste and GSH is easily inactivated by stomach acid before it can be absorbed. Transdermal preparations are sticky and smell of sulfur. IV-supplementation is effective, but invasive and not readily available to most patients due to the expense and limited access to an educated practitioner. Even when GSH is given intravenously, much of the GSH is oxidized into GSSG in the IV-bag during storage, transport or while being infused. Nebulized forms of GSH have also been used but the smell and taste result in poor patient compliance and it is counterintuitive to suggest that aerosolizing a compound that is highly reactive in the presence of atmospheric oxygen is an effective strategy. A major advancement in Glutathione supplementation, Results RNA® has developed Advanced Cellular Glutathione (ACG). ACG Glutathione Extra Strength is an intra-oral spray GSH that tastes great and has been proven by an independent clinical research firm to effectively increase intracellular levels of GSH by over 10% in only 7 hours. These results are significant considering that the average toxic body will immediately begin oxidizing GSH. Clearly the amount of GSH being absorbed far exceeds the intracellular levels as shown. With 787 milligrams per 5-spray serving, it is statistically reasonable to suggest that intracellular GSH levels continue trending upward beyond the 7 hour data point. The significant efficacy of Results RNA® intra-oral sprays such as Advanced Cellular Silver (ACS) 200 Extra Strength, Advanced Cellular Zeolite (ACZ) nano Extra Strength, Joint Care Extra Strength Intracellular and others is achieved by atomized spray delivery, sub mucosal absorption and the instant bioavailability of key molecules at the cellular level. The capability now available to effectively supplement GSH intra-orally will be life-changing for your patients. They will benefit from the substantial health benefits of optimizing GSH levels and minimizing oxidative stress levels; all with a simple intra-oral spray protocol, without the risk of side effects. Badaloo, A., Reid, M., Forrester, T., Heird, W. C. & Jahoor, F. (2002) Cysteine supplementation improves the erythrocyte glutathione synthesis rate in children with severe edematous malnutrition. Glutathione Metabolism and Its Implications for Health.Am. J. Clin. Nutr. 76:646-652. Jones, D. P. (2002) Redox potential of GSH/GSSG couple: assay and biological significance. Methods Enzymol. 348:93-112. Lyons, J., Rauh-Pfeiffer, A., Yu, Y. M., Lu, X. M., Zurakowski, D., Tompkins, R. G., Ajami, A. M., Young, V. R. & Castillo, L. (2000) Blood glutathione synthesis rates in healthy adults receiving a sulfur amino acid-free diet. Proc. Natl. Acad. Sci. U.S.A. 97:5071-5076. Yu, Y. M., Ryan, C. M., Fei, Z. W., Lu, X. M., Castillo, L., Schultz, J. T., Tompkins, R. G. & Young, V. R. (2002) Plasma L-5-oxoproline kinetics and whole blood glutathione synthesis rates in severely burned adult humans. Am. J. Physiol. 282:E247-E258. Griffith, O. W. (1999) Biologic and pharmacologic regulation of mammalian glutathione synthesis. Free Radic. Biol. Med. 27:922-935. Canals, S., Casarejos, M. J., de Bernardo, S., Rodriguez-Martin, E. & Mena, M. A. (2003) Nitric oxide triggers the toxicity due to glutathione depletion in midbrain cultures through 12-lipoxygenase. J. Biol. Chem. 278:21542-21549. 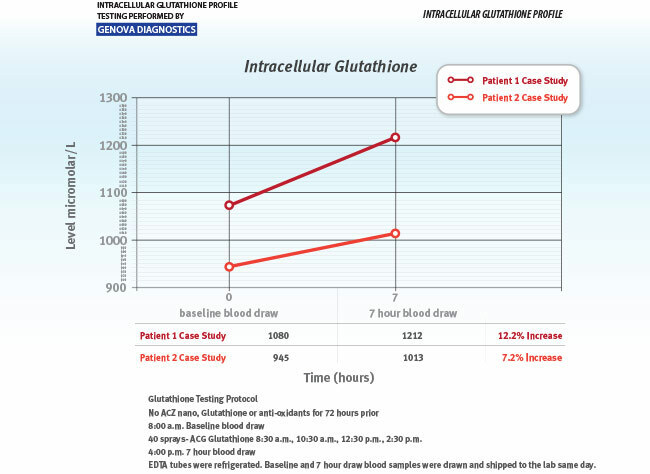 Johnson, A. T., Kaufmann, Y. C., Luo, S., Todorova, V. & Klimberg, V. S. (2003) Effect of glutamine on glutathione, IGF-1, and TGF-β1. J. Surg. Res. 111:222-228.